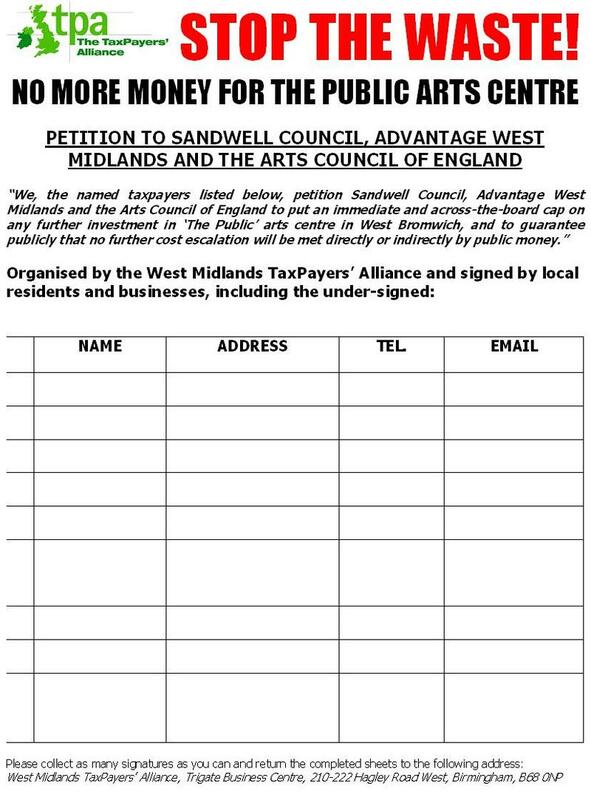 The West Midlands TaxPayers' Alliance has announced a new petition - "NO MORE MONEY FOR THE PUBLIC ARTS CENTRE IN WEST BROMWICH". You can read about The Public here and here. If you live or work in and around the West Bromwich area, please help us to show Sandwell Council the strength of opposition to this disaster by printing off copies and getting friends and family to sign. In addition, please consider registering free as a supporter of the TaxPayers' Alliance so we can keep you up to date by email with the progress of the campaign.